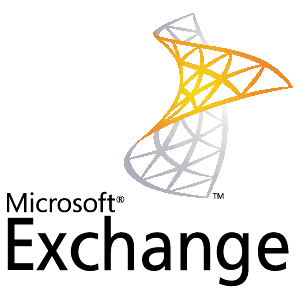 On April 8th, 2014 Microsoft’s Exchange Server 2003 extended support ended. Exchange Server 2003 certainly has had a good run over the last 10 years since it was released back in back in October 2003. It made ActiveSync available to the mainstream (Mobile Information Server was not required), implemented anti-spam measures and also introduced RPC/HTTPS which was later renamed to be Outlook Anywhere. Do you still remember the “fun” of manually configuring the OA settings, prior to SP1, manually in the registry? Exchange had certainly reached a point during the Exchange Server 2003 lifecycle which meant radical changes were required to let Exchange grow and overcome certain limitations. Moving to x64 based architecture allowed Exchange to leverage more memory and move beyond the painful limitation of only being able to work with 4GB of memory. PowerShell simplified the administrator’s life compared to writing vbscript, and the Exchange System Manager with options buried at numerous levels was also replaced. While we can now look back on those halcyon days, it’s almost time to say goodbye to this old friend…. Exchange 2003 reached the end of it’s extended support window on the 8th of April 2014. Additionally other products also ceased to be supported. Unfortunately, most of the businesses have waited until the very last minute to make that inevitable migration, thus putting companies in greater jeopardy as an end result. At OC Cloud 9, we understand the reluctance towards network migrations as they often mean a huge software investment in which the required financial investment might not be available. This is the opportunity to evaluate moving to The Cloud. Our Cloud Migration Experts are opening doors to new clients where other Cloud Solution Providers lack the skillset to properly virtualize and migrate all aspects of a company network. It’s not just about Hosted Exchange or Office 365. Your biggest obstacle might be your mission critical Proprietary Software Applications. OC Cloud 9 can help. Give us a call today at 949-699-6619. ← Windows Server 2003 End of Life – Time for a Cloud Solution?